Margaret Dickson attracts trouble and controversy from a young age, she marries Patrick Spence and has a tumultuous relationship with him. when Patrick is gone for a long time she makes her way to Newcastle to find him but stops in Kelso due to stormy weather. Margaret stays to wait out the storm but is drawn to William Bell the innkeeper’s son, when their passion results in Margaret’s pregnancy she conceals her condition. She gives birth alone and the subsequent death of her baby sees her charged with murder. She is sentenced to hang but will her demise of her child ever be explained? I was fully immersed into eighteenth century Musselburgh and all the local sights, smells and customs with this intricate yet gripping account of Margaret Dickson’s life. I do not read historical fiction very often, and the nature of this story is biographical as there really was a Margaret Dickson. Alison Butler, author, of this mesmerising tale has recounted and researched this story flawlessly. An exceptional read for historical and crime thriller fans. 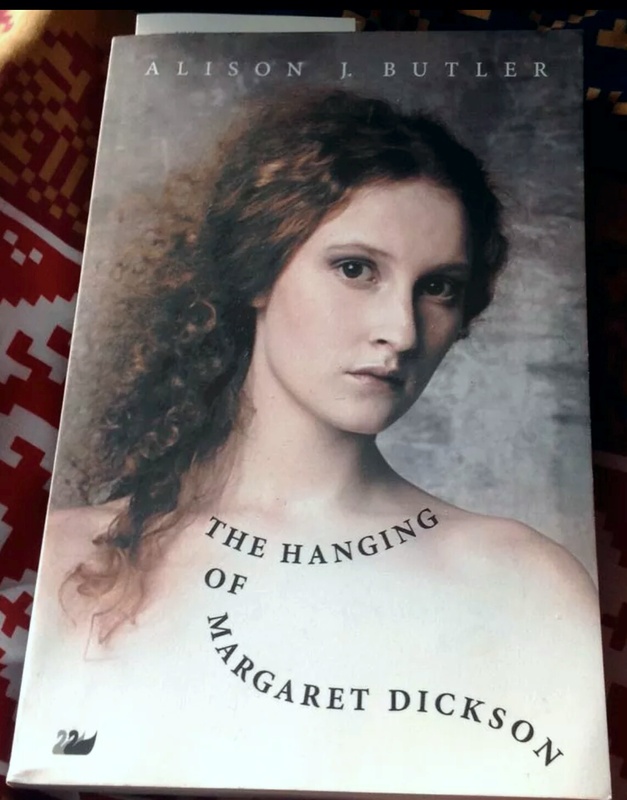 I enjoyed your review of The Hanging of Margaret Dickson. I will try to read it soon. I love the cover and look forward to reading this one! If I’m not mistaken the cover is a painting by an artist called Chris Rutherford who has depicted Alison J. Butler as Margaret Dickson.